We have been providing fete and garden games for hire in Hampshire since 2001 as JW Bouncy Castles. Games are available for hire with collection from our premises in Itchen. A deposit and proof of address is required on collection. Please email with your requirements. © 2019 Fete and Party Games Hire. 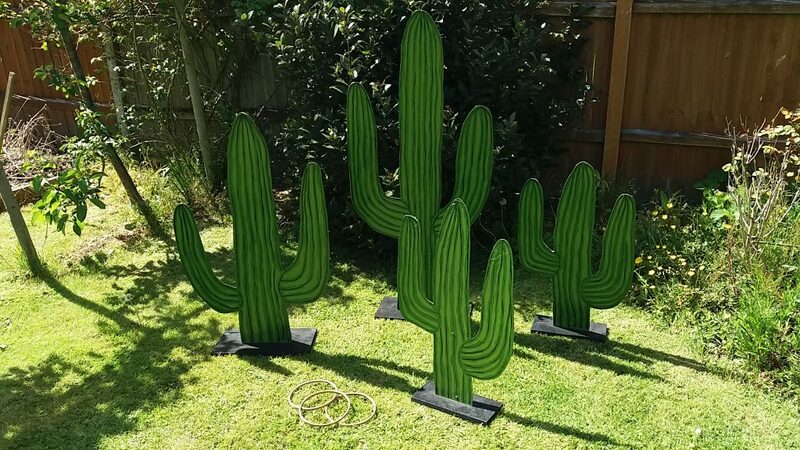 Great set of wooden Cacti / Cactus scene setters or props. Great for wild west themed parties, and also ideal as a large Hoopla game. Largest Cactus is 130cm high. Price is £25 for all four, or £20 for the set of three smaller cacti.